The Prisoners Rights Project’s live status bar is intended to provide updated information concerning the different initiatives currently applied within the project and the progress of these projects. The PRP enters the new year of 2014 with two legal interns working to improve the situation of detainees in Kumba. Charlotte Posgen from Germany and Kira Stevn from Denmark has been working on the PRP for 4 and 2 months respectively and has now been granted access to work with the local authorities in Kumba town. They will therefore be dedicating much of their time in the coming months to organize and conduct a series of workshops with the police force and the gendarmeries targeting issues such as the rules of detention in the Cameroonian penal code, dignity of prisoners, human rights for detainees and corruption. Simultaneously, they are working on bringing Legal Aid to applicable prisoners: In order to improve access to legal aid in Cameroon, a Law on Legal Aid was adopted by the National Assembly in 2009. The law works by reinforcing jurisdictional assistance and developing mechanisms of providing people with legal assistance. However, to the best of GCI’s knowledge, no application has been filed so far. Our pro-bono partners have provided us with information on detainees currently in detention in the Kumba prison, who might be applicable to get legal aid according to this law. 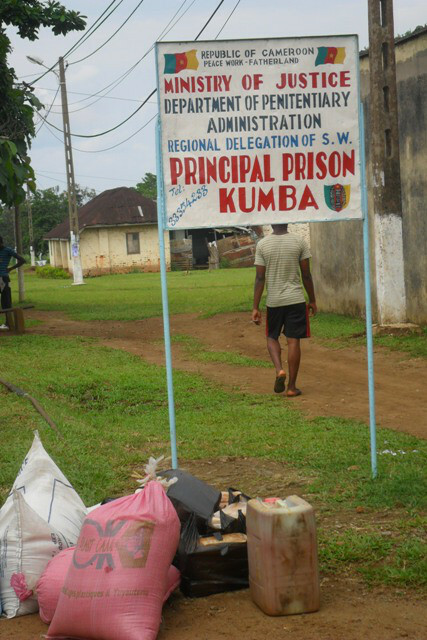 It is therefore a main focus of the PRP interns to get access to the Kumba prison in order to interview these potential candidates and assess whether they meet the conditions laid down in the law and if so, to help them prepare and file applications for legal aid. GCI’s work in the past has demonstrated that often those who cannot afford lawyers sit in awaiting trial for an extensive amount of time. Therefore, it is our belief that it would greatly benefit detainees to be granted free legal aid so that their cases may be brought in front of the court. GCI hopes that the facilitation of access to legal representation could help securing the Human Right to a timely trial and also reduce the number of prisoners in Awaiting Trail Detention, thereby improving conditions in the cells.